Riding the in the past for me meant longing. It meant slow walks near livery stables, hoping to be spotted and asked to help. It meant a yellow card booklet of ten lessons or hacks – a huge £100-worth – eked out over two years. It meant becoming vegetarian at ten, and co-organising (with a couple of other little fanatics) a ten-mile sponsored walk in aid of Lipizzaners, a kind of stallion originally bred by the Hapsburg nobility which, with hindsight, needed my money to about the same degree as Kate Middleton now needs my attention. It also meant humiliation. The frustration of pulling with small arms on the reins of a horse that has decided to spend an hour (one precious yellow tear-off card) eating dandelions, while you sit on its back and weep. More recently, the pain of being bossed around the New Forest by a tyrant in a normal riding hat, while you and twelve other adults meekly follow at a sad walk, wearing hard hats covered up by big, bashed and non-optional Stetsons. And always the suspicion that, no matter how much you brush this beautiful animal or stare into its dark mysterious eyes, it will never be as interested in you as you are in it. Which is definitely true. None of this has stopped me loving riding or, more precisely, the idea of riding, since each actual experience has been like a sip of wine before the glass gets smashed; like a pencil study for the main picture, abandoned in the rain. 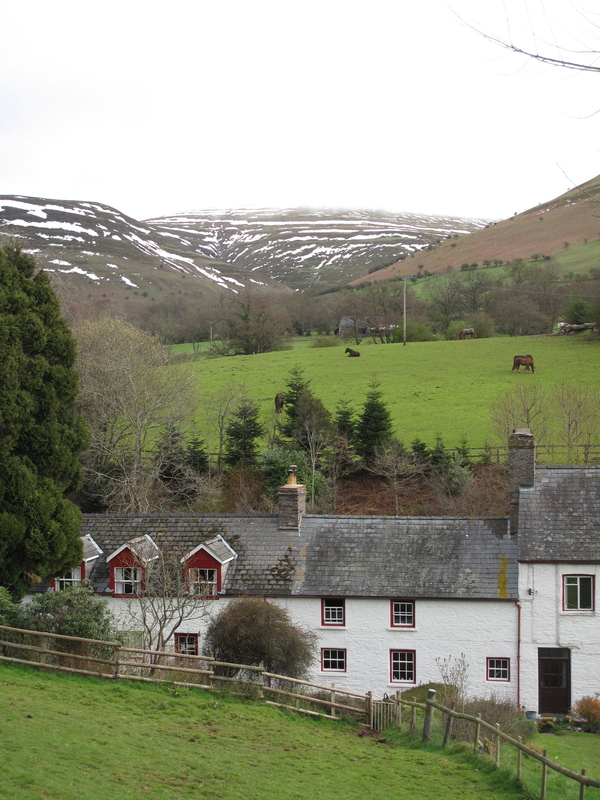 With the first paycheque of my new job, drunk on security, I went to Wales for three days of riding near Mount Talgarth, in the Black Mountains. Riding has distinct rhythms, and maybe one of its attractions is that we are used to none of them. Walking is slow – surprisingly so, slower by quite a margin than a fit person walks. Sitting on a walking horse is like being carried in a palanquin or by a pallbearer, stately and perched. Able to look over hedgerows instead of at them. Trotting, the most energetic gait for the rider, requires such a precise up-down-up-down movement that it’s hard not to feel prim doing it, and to think that a top hat or a tight-waisted riding habit might be more appropriate than Goretex. The staccato hoof-beats recall names full of consonants and privilege – Pemberly; Casterbridge; Rosamond Vincy. Its only when the horse starts running that the rider is flung out of these states and into something older and more instinctive. For this moment, it’s worth getting good enough at riding that you don’t immediately lose both stirrups and slide fast and helplessly sideways or backwards out of the saddle. The horse’s body has not really moved until it starts to canter. When it does, it starts at the shoulders. They begin to work and you see the power in them before the speed kicks in. The back legs must be joining in, but you can’t look round to check and anyway, the animal feels like it’s being drawn forward rather than pushed from behind. The rider realises that they are far above the ground and balancing on moving muscle. There is no opportunity to stand-and-sit-and-stand, and no need to, because you’re more at one than you have ever been, and either you understand this from films or maybe you’re bred knowing it, because you’re back in the time of King Arthur and running into battle or away from dragons, or just over the endless un-built-on plains that used to be Britain. In Kazakhstan, a couple told me, you can canter and gallop across the endless spaces for as long as you might want to. Groups of horse-breeders move up onto the plains for the summer, taking yurts with solar panels and therefore televisions. They stay for a season, breeding incredible thoroughbreds from ex-Russian stock, never groomed yet glowing like polished stones. They graze these beautiful horses on in the meadows until it becomes too cold to stay. Then they eat them. Back in Wales, the speed and the symbiosis doesn’t last for long, and soon the group slows for gates or tarmac or maybe just for propriety. We are back in the present. 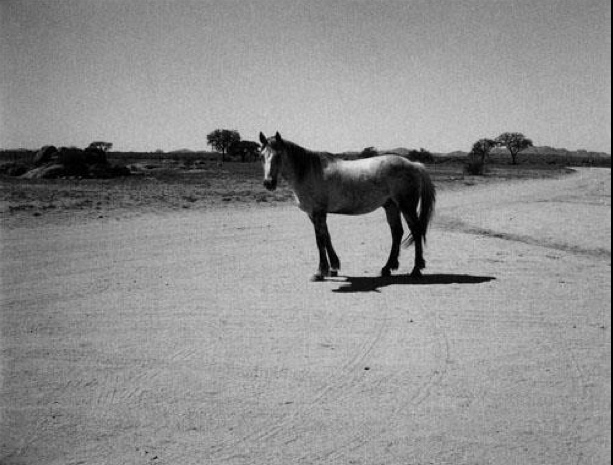 They are weaknesses, I’ve always felt – both my love of horses and of the distant past. And they’re also connected. Living in any time before now would have involved brutality – as the breaking of horses does – which I choose to ignore. But there’s something raw and beautiful in it too. You are currently viewing the archives for April, 2012 at Opendor.